Lucas Matheson is CEO and co-founder of Pinshape. Allocating startup capital is hard — but more importantly, it’s key to successfully raising your next round. 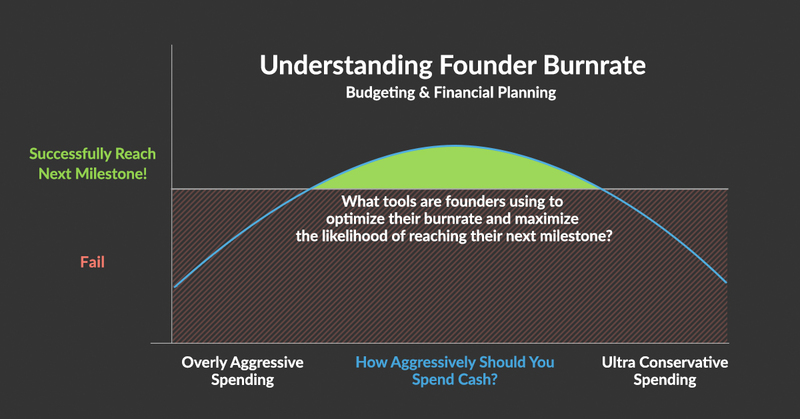 Which tools are founders using to build a strategic financial plan? With cash in the bank, a founder’s job is to time growth, metrics and money to validate a thesis and raise another round. My question is this: How strategic is this budgeting process in practice, and what are founders doing today to best understand their burn? In the early startup days, managing a budget is simple. But once you raise money and start down the buffet of SaaS products, rows start adding up. Before you know it, your budget is confusing and lacks precision. When I went through 500 Startups, most of us were just getting our first infusion of cash. What’s interesting looking back is that everyone was using a different tool or Excel file to manage budgets. This makes sense, given that we’re all different businesses. But without an “Uber for Budgets,” many founders don’t know where to start, or how to create a strategic financial plan. This can lead to oversimplified budgets that lack strategic value and the ability to test new opportunities, hires, pivots, raises and general scenarios. The budget is usually just part of the investor sales pitch rather than a useful tool to mitigate risk and optimize opportunity. If you’re budget is simply a list of what you’re spending your money on, it’s way too oversimplified. Before my startup, I worked in M&A, figuring out how much companies cost. I worked mostly in Excel, valuing companies, projects and “opportunities.” I spent a lot of time thinking about the relationship between time and money, and building macros to run 50+ scenarios to optimize a price or assumption. The beauty of the startup world is the relative simplicity of understanding your cash and time, and the absence of the time-value-of-money perspective. This allows founders with modest tools to get quick and accurate feedback on ideas. Timing your burn is hard. It’s like timing your first kiss. Truth be told, traditional accounting for most early stage tech startups is a waste of valuable time. It’s a lagging indicator, and using it to make financial decisions in a startup is akin to driving a car by looking through the rear view mirror. Founders should look more to creating strategic objectives over the next year as the starting point to building a budget — and resist the urge to project historical accounting data forward (which most people do). Unless you have significant inventory, accruals, AR/AP or borrow a lot of money, founders/investors should be focused on budget (future) + income statement (historical). The meat of financial planning for startups lies in budget scenarios and how closely the strategy is linked to it’s budget. If they’re closely aligned, CEOs have a practical tool that translates strategy into action, helps founders validate strategies and helps understand how spend decisions affect time: time until you fail, raise, sell or start covering costs with revenue. One common challenge for founders is understanding how much effort to put into their budget, how complex to make it, how often to update it (hopefully monthly!) and what key insights they should be looking for after they update it. Here are a few things to think about when it comes to budgeting. A startup budget provides a perspective on how the founders think they’re going to succeed. It says, if we allocate our precious cash here, in these months, we have the best chance of strengthening our traction and raising our next round. It’s a summary of what gets prioritized after founders brainstorm every possible option to move the business forward. For experienced advisors and investors, helping founders re-think their budget is a simple value-add that can make a big difference early on. It’s helped me a lot. After founders get comfortable with a budgeting tool and updating it, they should be spending time every month reviewing the allocation of cash, making sure they’re not wasting money and that they’re investing in the opportunities that move needles. Every month, I update my budget and think about why I’ve over- or under-budgeted. Founders should hold themselves accountable to spending every dollar in their budget each month. It’s your plan, so follow through. If you don’t spend your full budget, you’re likely missing out on valuable feedback. Before you know it, you’ve spent three months learning something you should have learned in one. Startups need to adapt and refine their spend as objectives change. The budget’s not a straightjacket. The point is to understand what’s working each month and reallocate capital to line items that maximize traction. Timing your burn is hard. It’s like timing your first kiss — too quick, date’s over; too slow, too weak, probably a fail. In the startup world, there’s a cryptic relationship between aggressive spending and successfully raising your next round. In the early days, most startups aim to keep their burn as low as possible, but eventually they need to start taking more risk and investing cash to grow and learn. Knowing how aggressive to be is an art, and often a reflection of a founder’s ability to understand their company’s product market fit. It’s something every founder must do well. Spending time every month evaluating my budget helps me to think about how aggressive we are, and what to tune. As a CFA charterholder who’s built hundreds of financial models, my view is that financial models (where you derive value) are generally a waste of valuable time at this stage. If you’re an early founder, I’d stick to a budget until you have relative certainty around monetization. Financial models are used to assign risk to variables and provide a distribution of possible values that help people make informed decisions on value. If you’re close to an exit, then you’re optimizing to extrapolate a bigger curve. Traditional accounting for most early stage tech startups is a waste of valuable time. This is an art and a science, and it might be worth hiring a professional modeler to help you understand how acquirers will model and quantify your business. The point is, unless you have a very clear and obvious monetization strategy, don’t waste time projecting the future. Spend time learning more about the relationship between spend (activities) and revenue (traction) to maximize the impact of every dollar. One of the biggest lessons I’m learning as a startup founder is prioritizing our work. I’m constantly figuring out how we can accomplish the most, in the least of amount of time, with the money we have today. Having a budgeting tool doesn’t help me know what feature to focus on next, but has been incredibly helpful when ensuring our priorities are adequately financed and how different scenarios will affect our fundraising plan. For founders without an Excel background, this can be daunting, and often is overlooked. I’m certainly looking forward to the day when a startup builds a solid tool to make this exercise even easier.